This is the first of many posts about the amazing weekend I had celebrating my upcoming nuptials in Charleston, SC. Maybe the title of this series should be How to consume as many biscuits and fried chicken as possible, as during my 4 day trip, my girlfriends and I ate everything in sight. Hunger was a distant, forgotten concept. I am used to planning my vacations around meals and the destination restaurants, but I was worried that my travel companions would be unprepared and overwhelmed at the amount of gluttony. Fear not, Allison, Christine, Jes and Wendy were troopers – never once did anyone complain about stopping for a biscuit, having more fried chicken or ordering one more dessert. I have the best bridesmaids ever. I called exactly 2 months to the day and snagged an 8pm reservation at this popular restaurant. 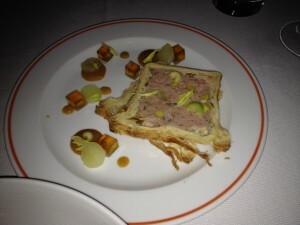 I liked the terrine, but the rabbit was not very distinctive. The gnocchi were huge. The meat sauce was hearty and a good foil to the tender ricotta. 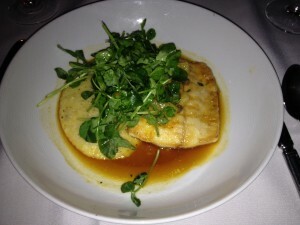 I had the flounder with polenta ($29) which was good, but paled in comparison to Wendy's slow baked beeliner snapper ($30). She declared it the "best dish she has ever had in a restaurant," I don't think I would go that far, but her fish was amazing. 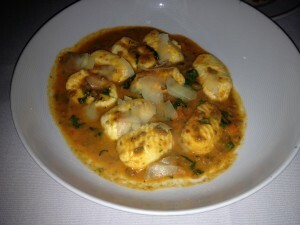 Jes seemed to like her grouper ($30) and the fish stew ($29) got raves from Allison and Christine. We all shared the citrus soufflé and the vanilla malt cake for dessert ($9, each). Both were excellent. 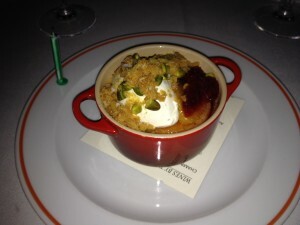 I was not expecting a chilled soufflé, but the texture was creamy and fluffy with a tart blood orange flavor. I also love the contrast of the salted pistachio crumble on top. 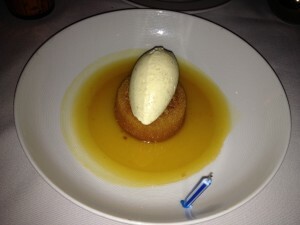 The vanilla malt cake was not fancy, but a perfect example of a tender, rich and flavorful cake. The roasted banana ice cream was not banana-y enough. The cocktails and the service were great. They were attentive and knew it was a special occasion, hence the candles on the desserts. After dinner we went to Club Pantheon, danced and watched several drag queens strut and shake their stuff. By 1am, we were ready for some re-fueling. 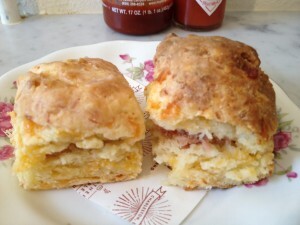 Luckily, Callie’s hot little biscuits is open till 2am and just a few blocks away from the club. There were only 3 types available for the late night menu: blackberry jam, black pepper bacon and cheese and chives ($4 for a pair). We got all three. 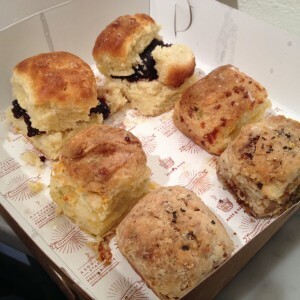 The biscuits were great – flaky yet tender and terrific flavors. My favorite was the black pepper bacon, but the rest of the group felt the blackberry jam was the best. The biscuits were so good that Allison and I went back on our last morning for one more biscuit. We tried the Virginia ham and that was by far the best - the salty ham, with the melty cheese and sharp mustard all sang together. I would love one right now. Lots more Charleston food posts to come - stay tuned!